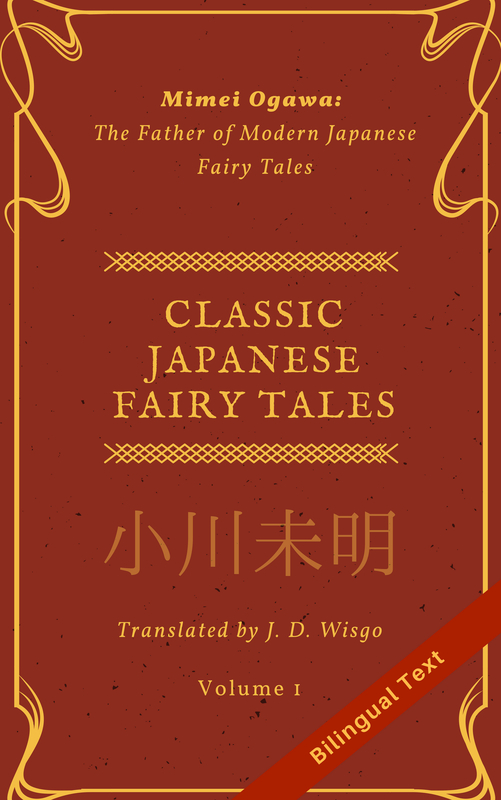 In late October, I announced I was working on a new translation project–after around two years of listing translations on my blog, for the first time I was aiming to publish a translation in a more formal media than a blog. A few months have passed (around three since I first had the idea for this project), and at last I have completed and published a few stories in E-book format on Amazon . While I have made a few posts about my progress, I’ve been pretty tight-lipped about the content of the project, especially the author whose works I was translating. The reason for that was that I was lucky to discover an rare opportunity to translate and publish a certain author who is somewhat famous in Japan, but, until now, relatively unknown in the English-speaking world. That author is Juza Unno (sometimes pronounced as Juzo Unno), and is written in Japanese as「海野十三」. You can find a few pages about this author online, with this and this being good places to start. To give a quick summary, Juza Unno is a prolific author from the 1930s and 1940s who penned around 200 works, many of which involve technology or science in some form, and he is sometimes referred to as the father (or grandfather) of Japanese Science Fiction. For many years I have been a huge fan of science fiction, as well as Japanese fiction, but to be honest I have read very little Japanese science fiction. While there are few really good authors (like Hoshi Shin’nichi) with exposure in the western world, I think there are some great Japanese authors out there who have not been translated into English. Through this project, I am honored to be able to introduce a few of the stories of Juza Unno to the English-speaking world. I’ve also added a bunch of translator’s notes to help understand the context and clarify a few areas, like about certain Japanese terms or historical context. The process of self-publishing an E-book was very educational and I learned a great deal about the process. In fact, I would say that I spent at least 20-35% of the time on stuff that was not related to translation specifically. I’m writing a detailed article on the process I used in order to help others who want to make E-books, so I’ll leave out those details here. I will say I managed things on a very small budget: $2! For now, I have only published the book on Amazon via KDP (Kindle Direct Publishing). You can see the book’s page here. This includes a brief sample (where you can read the translator’s introduction). Kindle is pretty popular so you likely know about it, but just in case I’ll mention that it supports many platforms: Microsoft Windows, macOS, Android, iOS, BlackBerry OS and Windows Phone. You can see this page which has a little more information about the stories (a full list of stories, links to the original Japanese text, as well as voice narrations in Japanese). If you have gotten any usefulness or enjoyment out of my blog, please consider purchasing this book as a token of your appreciation. Update: Yeti from Shosetsu Ninja has kindly reviewed this book on his blog here. Just picked up a copy of this today (through iBooks), and I’m excited to read through it. Congratulations to you (and to all who helped you) on completing the translation and successfully self-publishing the book! Thanks so much! I really hope you like it. Thanks for the reply! I definitely enjoyed the book. A lot of the stories have a unique style to them I’ve only ever encountered in other Japanese works of the time (at least in translation), so it was interesting to experience that again. Some of the perspective shifts in particular I thought were striking. As for the story I liked best, I’d have to say Four-Dimensional Man was my personal favorite, though The Living Intestine would be a strong runner up. I thought the jokes about weeding out the audience in the former story were pretty funny, and the image presented for how the main character’s body was “disappearing” as a radish being plunged into water was a powerful one. I also liked how open the ending felt, with the implication that this condition will persist to an unclear but likely unpleasant end for the main character, as well as the suggestion that he may not be the only one with this condition. The thing that most appealed to me about The Living Intestine was the ending, and some of the interesting perspective shifts involved in how the story was constructed. Anyway, congratulations again on getting the collection successfully published as an ebook! I wish you all the best with your future endeavors. Thanks for the detailed feedback, really glad you liked this story!